Disney has a way of releasing the youthful imagination and carefree mindset in all of us. 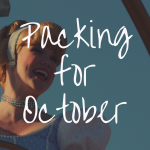 The classic movies, songs, characters and attractions are perfect reasons for nostalgia. 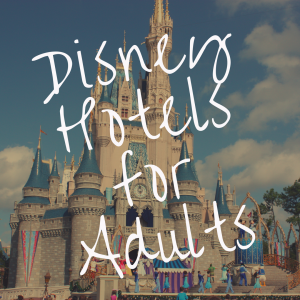 If you’re visiting Disney World as an adult, you should still ride the traditional and kid-friendly attractions. 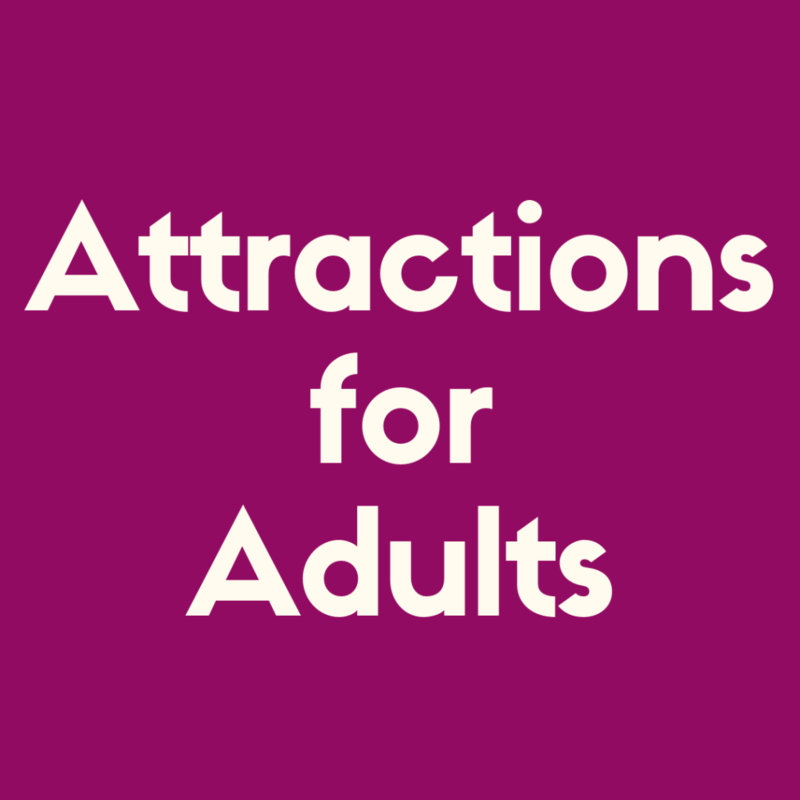 However, you should also take advantage of the more “adult” attractions now that you’re probably brave enough for thrill rides, tall enough for roller coasters and wise enough to appreciate the simple attractions. These are some of the best Disney World attractions for adults in each theme park. Space Mountain, located in Tomorrowland, is the perfect attraction to fulfill your childhood dream of becoming an astronaut. The line is usually long for this ride, so take advantage of the games in the queue that are vaguely reminiscent of the space invaders arcade game. Then, as you reach the boarding area, you’ll climb into the “rocket.” Very tall people will probably find the seats very awkward to get in and out of because the rocket is low to the ground and narrow. After you board, you’ll find yourself counting down to blast off as your rocket launches through the indoor roller coaster. Space Mountain winds through an almost pitch-black room, with shooting stars and planets projected onto the ceiling. The twists, turns and drops are unpredictable as you shoot across the tracks in the dark. This thrill ride is incredibly immersive and features a great theme. If thrill rides aren’t your thing, the PeopleMover is the complete opposite. A Disney vacation can make even the most energetic person exhausted, sweaty and ready to take a break. The Tomorrowland Transit Authority PeopleMover is the perfect place to get away from the fast-paced atmosphere of Disney World. The line for this ride is usually short, and the boarding process is very simple. The slow-moving cars have two padded benches that face each other, and there are no seat belts or harnesses. A voice-recording within the attraction explains some interesting facts and details about Tomorrowland. Although this attraction isn’t exactly “fun,” it can be just the thing you need during a long day in Disney World. The PeopleMover is an underrated ride, and the older you get, the more you can appreciate it. It’s especially great to ride this attraction at night because you’ll see a beautiful view of Magic Kingdom. Practically any person can ride this, so be sure to check it out if you have time. Big Thunder Mountain Railroad is a classic outdoor roller coaster in Frontierland. The theme focuses on a haunted gold-mining town, and the atmosphere gives you a sense of adventure. In the interactive queue, you’ll find fun props and activities to keep you busy as you wait to board. Get aboard a runaway train for a fast trip through the mines. This attraction is “the wildest ride in the wilderness” because you’ll speed through thrilling drops, turns and caves. This low-intensity roller coaster is so much fun for visitors of all ages. You’ll be smiling during the entire ride, which winds through canyons, waterfalls and mine shafts. Even though this attraction may look like a small roller coaster for kids, the track is long and fast. Big Thunder Mountain Railroad is a classic attraction in Magic Kingdom that is sure to add some magic to your trip. 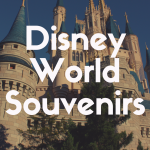 As you walk around the World Showcase, you might become really inspired to travel the world. Thankfully, Soarin’ Around the World is the next best thing. This incredible flight simulation attraction is in Future World to the right of the main entrance. As you wait in line to board the ride, play interactive games through your cell phone to answer trivia questions about the geography and history of countries all over the world. Then, you’ll board your “hang glider.” These seats are arranged in sections of long rows that are raised and stacked in a way that everyone can view the large screen in front of the room. This attraction is breathtaking. The large screen plays videos of different landscapes and famous attractions. The simulation features sound and smells in some parts of the ride that completely immerse you in the locations shown on the screen. You’ll forget that you are in Florida as you watch in awe of the beautiful scenes from all around the globe. This is another space-themed attraction that simulates a shuttle blasting off into orbit. Located in Epcot’s Future World, Mission: SPACE is the perfect ride for thrill-seekers. This attraction features two separate levels of intensity – the Orange Mission or the Green Mission. The Orange Mission level is the most intense because it spins fast enough to simulate the speed and G-forces of an actual rocket launch. The Green Mission doesn’t spin and only has light movements. To board this ride, you’ll get inside a small, enclosed car with four seats. Avoid this ride if you have motion sickness or claustrophobia. The Orange Mission is extremely intense, but it’s so much fun. You’ll feel like a real astronaut going through NASA-style training aboard this simulation. A small screen on the shuttle allows you to see the transition from lift-off to traveling through space. The motions and intensity of this attraction that correlate with what’s happening on the screen are unbelievable. This attraction is not your typical ride. Living with the Land is a slow-moving boat tour through different areas that showcase food production. It’s not the most thrilling ride, but it allows you to relax as you learn interesting facts about the impact of Disney’s horticulturalists. Learn about the evolving processes and successes of food production through history. The boat will even travel through a large greenhouse that showcases the growing plants raised and studied on property. Living with the Land is interesting because it’s an insight to some behind-the-scenes of Disney. Taste the food from the ride for yourself if you dine at Sunshine Seasons or the Garden Grill Restaurant in Epcot. These restaurants serve fresh produce and seafood straight from the farm. If you enjoy the ride, experience a special tour called Behind the Seeds that takes you through the greenhouses and fish farm. If you’re looking for a thrilling adventure, be sure to check out Expedition Everest – Legend of the Forbidden Mountain. This roller coaster in the Asia area of Animal Kingdom is the perfect ride for thrill-seeking adults. The theme brings you through an exploration of the Himalayan Mountains while avoiding the dangerous Yeti. The queue winds you through different sections of Himalayan themed areas. Then, board the roller coaster that takes you up the towering mountain. This attraction is unique to the other roller coasters in the parks. It tells a story as you speed along the tracks. Watch the Yeti tear away the tracks, forcing you to go backward on the ride. As you race to escape the legendary creature, you’ll careen down the 80-foot mountain. Expedition Everest is an attraction that will keep your heart racing through the entire ride. It features a surprise at every turn, an exciting story and exhilarating drops. This attraction is a unique animal-encounter experience in the Africa area of Animal Kingdom. The Kilimanjaro Safaris attraction is a real safari tour that winds through different habitats, allowing you to see several animals roaming the savanna. Climb aboard the large safari vehicle for an 18-minute long journey through the wild. Cast members will drive you through the savanna, pointing out the lions, elephants, crocodiles, ostriches and more. 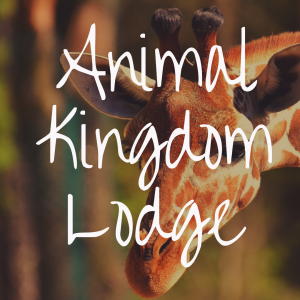 You’ll learn interesting facts about the animals, as well as some unfortunate information about poaching and animal endangerment. Kilimanjaro Safaris will make you forget you’re in Florida as you travel through a beautiful and realistic savanna. Children and adults alike can appreciate the beauty of these animals, and you’ll have the chance to take some great photos! Some animals get extremely close to the vehicle; sometimes they even block the road. You can ride this attraction in the day or night. Special lights make the animals visible at night, and some of the animals are more active after the sun goes down. The seat to this ride is unique because you’ll straddle something like a motorcycle, as the safety restraints come up against your back and legs. Then, you’ll put 3-D glasses on as you watch in awe as you soar through a magical world. The scenes will give you chills as you discover the beauty of Pandora. You’ll even feel your banshee breathing as the seat pulses against your legs. If you’re wanting to ride this attraction, make this the first FastPass+ reservation you choose. It’s one of the most popular rides in the parks, and the wait time reflects that. You might find yourself wondering if the attraction is worth waiting in line for three hours. Do some research before getting in line and read more about the ride and whether you think it’s worth the wait. The Twilight Zone Tower of Terror in the Sunset Boulevard area is guaranteed to give you a thrilling experience. It has a creepy theme of a mysterious, haunted hotel. As you wait in line, look around at the beautiful details around the hotel and in the lobby. You’ll be escorted to another room when you reach the front of the line to watch as short video about the Twilight Zone. Then, board your “elevator,” the large seating area that makes up the ride. Hold on tight as the elevator shoots up and down at random times, making your stomach drop with each fall. The theme of this attraction is fascinating and well-thought out. Even cast members lose their famous smiles and offer straight-faced, monotoned conversations. The ride is unique and extremely thrilling. As you walk around Hollywood Studios, you’ll probably hear the screams from people riding the Tower of Terror. It’s a dark, creepy and intense ride that will either make you smile from excitement or scream from terror. Get ready to rock as your ride this speeding roller coaster in the Sunset Boulevard area. The Rock n’ Roller Coaster Starring Aerosmith is the most intense roller coaster in the Disney parks. The theme centers around a stretch limo that needs to rush through traffic to get to the Aerosmith concert. You’ll board the “limo” and wait as a countdown prepares you for the start of the ride. Keep your head back as the ride goes from zero to sixty miles per hour in just a few seconds. You’ll listen to Aerosmith music blasting in your ears as you race through Hollywood to get to the “concert.” Hold on tight as you speed through two loops and a corkscrew. This is an extremely intense indoor attraction. Adults can appreciate the excitement of the rock n’ roll theme and the attraction itself. Toy Story Mania in Toy Story Land is an attraction that shrinks you down to toy-size as you explore Andy’s room and play fun carnival-themed games. The queue consists of classic toys that are enlarged to make you feel just like a toy. As you make it to Andy’s room, you’ll board the car and put your 3-D glasses on. Then, whirl around the track as you play different carnival games with the spring-action shooter. The games are so much fun and include your favorite Toy Story characters. If you’re competitive, this is the perfect attraction to show off your skills. 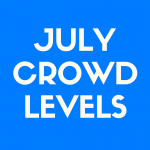 Compete against the people in your car for the highest score. 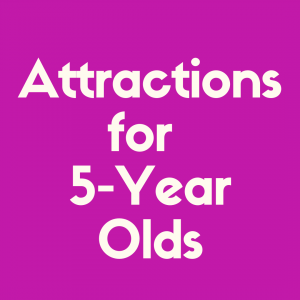 The theme of this attraction might seem childish, but it’s exciting and fast-paced. At the end of the ride, a screen shows best score in vehicle, best in the hour, best in the day and best in the month.